My dear husband hates heights. But in the interests of adding to my natural history collection for sketching, he braved the ladders and climbed to the top of the silo. 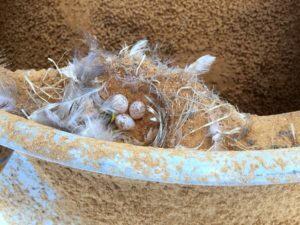 Under the lid was a ragged nest with three tiny fragile eggs now spattered with the dust from the load of calf pellets that were poured in yesterday. 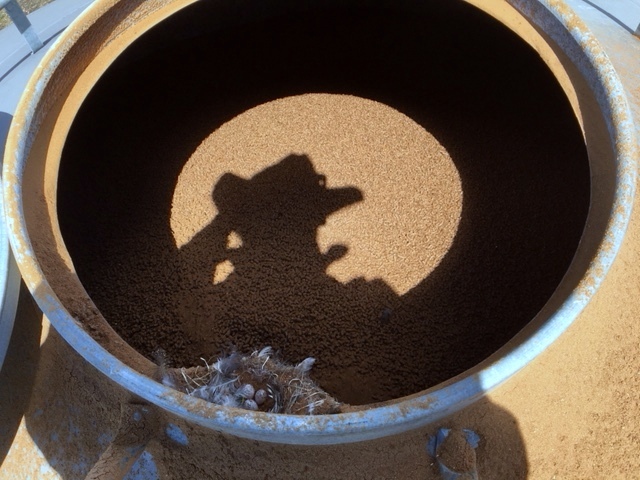 The silo has been unused for a while and there was no evidence of an anxious mother bird. David snapped an image for me and then tried to carry down the eggs but they were so fine, and the shell so thin they dissolved in his hand . He managed to bring back one, delicately patterned with brown speckles. 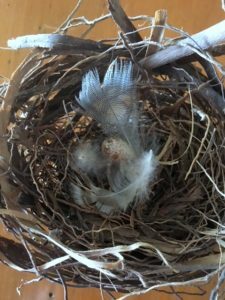 I placed it carefully in a nest I had found and soon I will begin to sketch.